The ​hip ​and ​pelvis ​combine ​to ​transfer ​the ​forces ​from ​two ​legs ​and ​into ​the ​one ​spine ​and ​therefore ​has ​a ​hugely ​complex ​role ​to ​fulfill ​in ​the ​body. ​Ida ​Rolf ​described ​the ​pelvis ​as ​‘the ​joint ​that ​determines ​symmetry’ ​and ​it ​is ​easy ​to ​see ​why. ​Differences ​between ​the ​hips ​can ​affect ​down ​into ​the ​legs ​or ​up ​through ​the ​spine. ​Achieving ​balance ​here ​can ​be ​essential ​for ​long ​lasting ​results ​in ​any ​therapy. ​This ​course ​sheds ​light ​on ​the ​pelvis ​– ​the ​keystone ​of ​human ​architecture ​– ​by ​organizing ​the ​20 ​or ​so ​muscles ​of ​the ​pelvis ​into ​three ​fans. ​Get ​specific ​with ​sensitivity. Structural ​Essential ​series ​is ​a ​set ​of ​intensive ​soft-tissue ​technique ​courses ​divided ​into ​functional ​regions. ​Combining ​movement ​and ​manual ​techniques ​for ​the ​most ​efficient ​and ​long-lasting ​results ​and ​using ​the ​latest ​research ​on ​the ​interaction ​between ​skeleton, ​muscles, ​joints, ​and ​fascial ​proprioceptors, ​this ​series ​of ​workshops ​will ​take ​you ​to ​a ​new ​level ​in ​therapy. Designed ​with ​the ​busy ​manual ​therapist ​in ​mind, ​each ​Structural ​Essentials ​event ​gives ​you ​a ​new ​understanding ​of ​the ​relevant ​area. ​The ​content ​will ​outline ​how ​the ​structural ​and ​functional ​anatomy ​relates ​to ​many ​common ​issues ​as ​well ​as ​to ​the ​rest ​of ​the ​body. ​Based ​on ​many ​new ​and ​established ​approaches ​this ​series ​will ​give ​you ​the ​skills ​in ​palpation, ​Body Reading ​and ​functional ​analysis ​needed ​for ​the ​modern ​multidisciplinary ​therapist. *No ​one ​is ​compelled ​to ​disrobe ​beyond ​their ​comfort ​level. PHONE ​REGISTRATION ​available: ​Call ​Casey ​Guilfoyle ​920-246-3474 ​for ​assistance. Contact ​Clarion ​Inn ​Appleton ​directly ​at ​920-731-4141 ​to ​make ​reservations ​by ​October ​5, ​2019. • All ​guest ​room ​reservations ​are ​required ​to ​have ​one ​guest ​21 ​years ​of ​age ​or ​older ​occupying ​the ​room. Debra ​Dower ​Debra, ​Instructor ​is ​co-owner ​of ​Ananda ​Integration ​and ​Dower ​Wellness, ​based ​out ​of ​Lancaster ​PA. 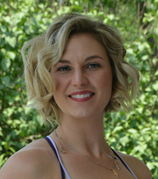 ​She ​has ​over ​a ​decade ​of ​experience ​in ​the ​alternative ​health ​and ​wellness ​field. ​She ​and ​her ​husband, ​Nick, ​are ​currently ​spearheading ​the ​Holistic ​Therapy ​movement ​at ​Lancaster ​General ​Health/ ​Penn ​Medicine, ​where ​she ​is ​the ​manager ​of ​Holistic ​Therapy. Debra ​graduated ​from ​the ​Lancaster ​School ​of ​Massage, ​where ​she ​now ​teaches ​Anatomy ​and ​Physiology. ​She ​is ​a ​Board ​Certified ​Structural ​Integrator ​and ​completed ​the ​entire ​course ​of ​study ​at ​Anatomy ​Trains ​Structural ​Integration ​(ATSI). ​Debra ​is ​now ​an ​assistant ​teacher ​at ​the ​ATSI ​course ​and ​a ​teacher ​for ​the ​Anatomy ​Trains ​short ​courses. ​She ​has ​over ​1,000 ​hours ​of ​certified ​yoga ​instructor ​training ​and ​teaches ​yoga ​at ​Evolution ​Power ​Yoga ​in ​Lancaster, ​PA. The ​Structural ​Essentials ​(SE) ​workshops ​are ​most ​easily ​absorbed ​in ​the ​order ​outlined ​below ​but ​you ​can ​do ​them ​in ​any ​order ​as ​time ​permits. Note: ​It ​is ​not ​required, ​but ​strongly ​recommended ​taking ​the ​Anatomy ​Trains ​in ​Structure ​& ​Function ​course ​before ​taking ​the ​SE ​courses. ​Familiarity ​with ​the ​Anatomy ​Trains ​lines ​and ​concepts ​is ​key ​to ​getting ​the ​most ​from ​the ​program. No ​refunds ​will ​be ​given ​for ​cancellations ​less ​than ​72 ​hours ​prior ​to ​the ​event.